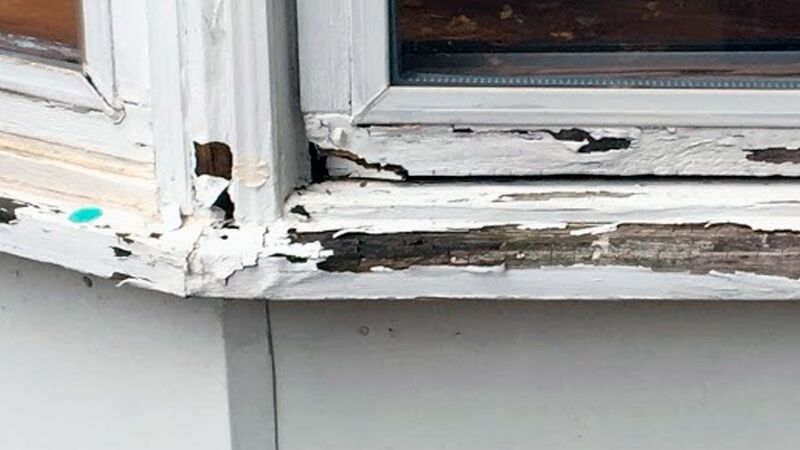 Water and weather damages that occur on wooden windows is usually a general struggle for most individuals owning homes and in most occasions, it can result in total destruction of the window if the issue is not addressed. The damages of water can have an impact on the sashes, frames, and sills of the window. As demonstrated by the particular operation carried out by the team the issue occurs due to the presence of water close to the window sill and base that results in rotting damages. The damage normally happens instances that the window sill has not been placed at an appropriate angle or the windows lip on the upper side tends to be less significant and does not permit dispersing of water easily which results in pooling of water and frame rot. Such issues need to be resolved almost immediately since with the passing of time the damage is bound to become worse that leads to loss of heat through the window’s gaps and this can lead to the building up of mold and some associated health risks that will necessitate complete replacement at the end. Repairing is associated with a number of benefits when compared to replacement of the whole window particularly if the damage is centralized in a single section which means that similar results can be acquired without the high price that comes along with replacement operations. Making sure that that the brick molding and the windows particularly the outside window trim that is prone to weather damages are not being affected, all the joints are firmly sealed, treated is subjected on regular basis and they are all subjected to appropriate repair in a timely basis. This is usually an effective strategy because eventually, it results in the saving of money both for the short and extended run in reference to energy loss and replacement.